Who doesn’t love that summertime glow? I know I feel so great when I’ve got a little bit of color. In Arizona, we’re getting to that time of year when we can start laying out at the pool. It’s really starting to heat up here, hitting 90 degrees a couple times already! But as much as I love laying out in the sun, I also love finding safe ways to get that beautiful healthy bronze glow without harming my skin so today I wanted to share my favorite summertime primer with you all. It’s the Laura Mercier foundation primer in radiance bronze. I got this as a sample from Sephora, fell in love and had to buy the full size product. It’s absolutely perfect for the summertime. Or to give you that extra glow in the gloomy wintertime. I know a lot of people also feel that their face is never as tan as their body in the summer and this is the perfect solution. You can apply a thin layer under your foundation or just apply this alone and go. 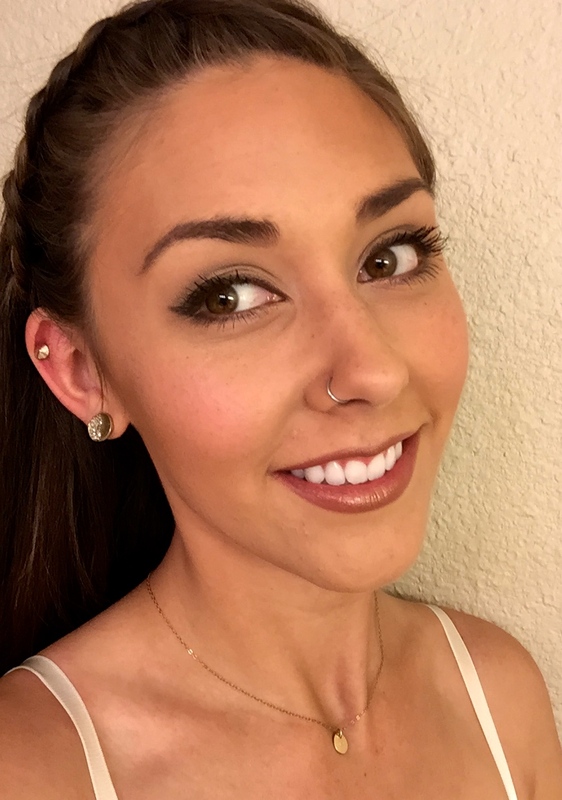 It gives you a gorgeous glowing bronze color while also priming and smoothing out your skin. Since I wanted to talk about my bronzing primer, I figured I’d do a golden summer eye to go along with it. A bronze/golden eye is always super popular in the summer, and even if it wasn’t, I’d wear it anyway because it’s beautiful on everyone! 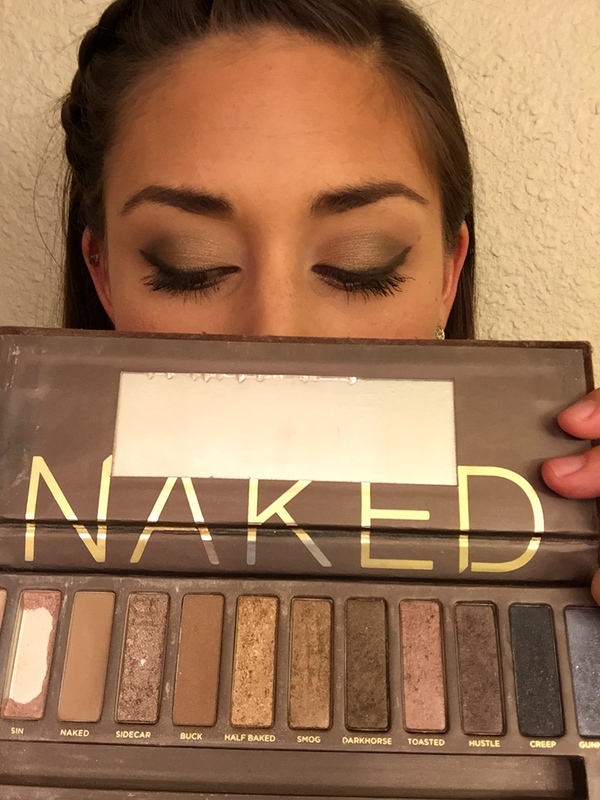 The Urban Decay NAKED palettes have been out for quite a while, and the original NAKED is filled with shimmery shadows. 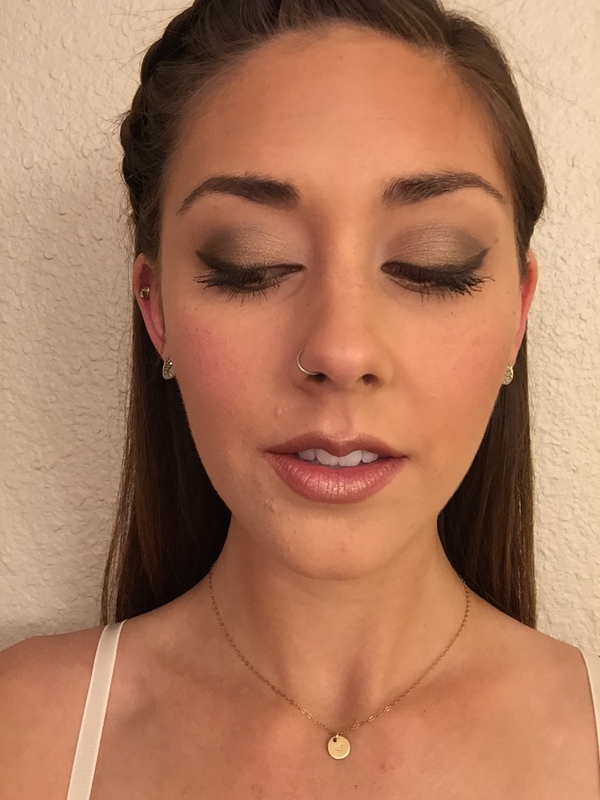 There are three beautiful golden/bronze colors that can be used to create a smoky bronze eye. For this look, I used Half Baked, Smog, and Darkhorse. I like to put a darker shade like Darkhorse in the outer corners of my eyes, get into the crease with Smog, and use Half Baked all over my lid focusing on the center of my eye. And for my lips, I lined them all over with Jordana honey dip, put on a smidge of Victoria’s Secret Coconut Craze gloss, and for some extra golden glow, put a little dab of Half Baked on my cupid’s bow and the center of my bottom lip. I hope all of you golden goddesses out there enjoyed this! Keep Calm and Glow On. ← Be Your Own Sunshine. thank you! I’m so happy that gold has been so popular recently. It’s beautiful on everyone! You are gorg girl! And damn you hit pan on so many UD eyeshadows. Good job. I also had that sample of laura mercier primer and I find that you can even use it on your body for a bronze looking glow that is super subtle. Thanks so much! That’s a great idea! I always put in on my face and neck but I’m sure it’d be great for your body too. I love that stuff! i love this look, it’s so simple and effortless! 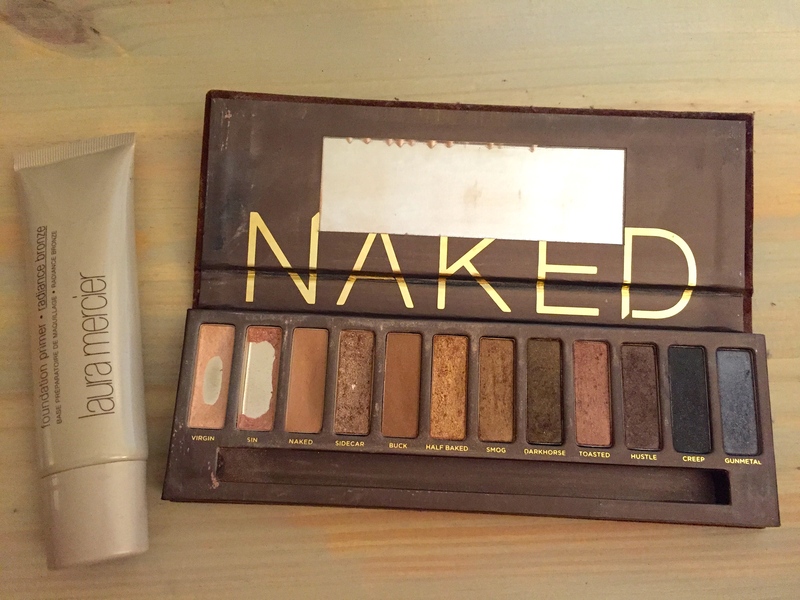 it’s soo funny because i have the naked palette as well and i’ve also only hit pan with the first two colors as well! if you get a chance, come check out my fashion and fitness blog! Thanks! Haha those first two are so pretty and I love to highlight with them! I’m jealous for every reason possibly. a) Because you can already lay out by a pool…meanwhile, it’s still 35 degrees in Baltimore. BRRR. b) Because this look is UH-MAZING. Seriously awesome. The lips are fantastic, the skin and liner are on-point. Just awesome!